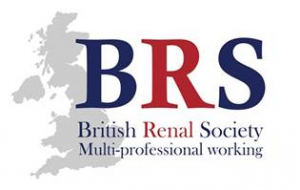 This module is useful for all members of the renal healthcare team, especially for those who are new to dialysis. The e-learning comprises of three sections – basic, intermediate and advanced. Module topics include understanding target weight & fluid assessment, assessment of fluid balance, patient centred strategies and bioimpedance. The advanced section also features peritoneal dialysis and haemodialysis case studies. The module will take approximately 5 hours in total for all 3 sections. A certificate will be provided upon completion and learning can be used towards NMC revalidation. 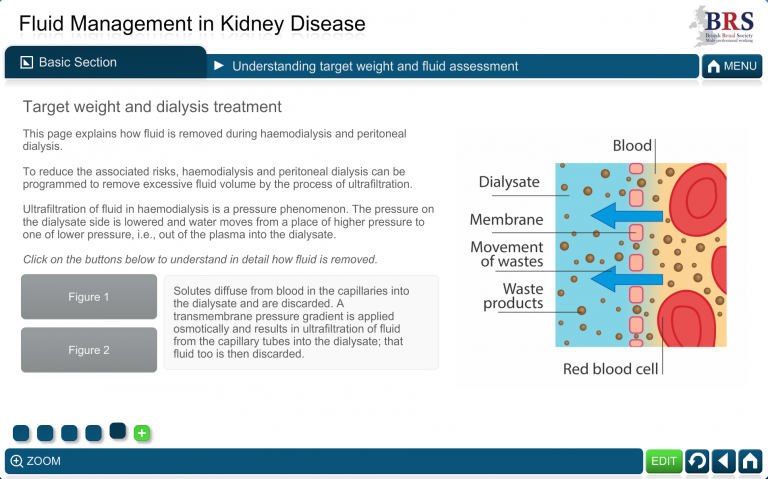 Understand target weight and the importance of fluid assessment in relation to dialysis (PD and HD). Undertake basic fluid balance calculations, and assess salt and food intake. Communicate with patients about their weight and explore differing levels of patient involvement with respect to fluid balance. 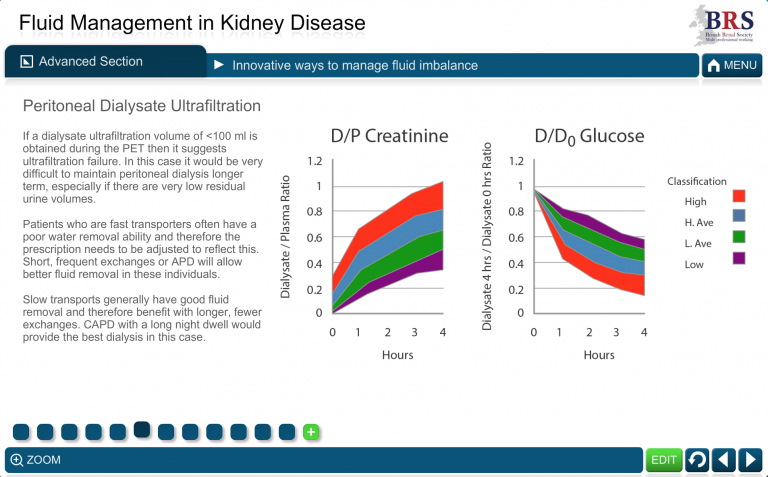 Undertake accurate fluid assessments, using BP, residual renal function, target weight. Explore specific patient related strategies to improve fluid understanding and concordance. Communicate the needs of the patient with regards fluid balance to the whole multi-disciplinary team (MDT) and identify ways in which the MDT can work together to improve clinical and patient-centred outcomes with regards fluid balance. Review how to undertake detailed fluid assessment and other measures such as bioimpedance. 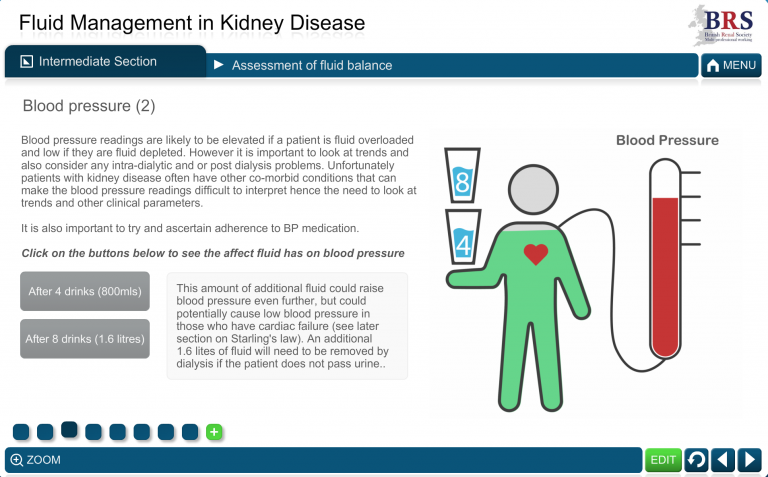 Manage complexities in fluid balance on HD and PD, specifically those relating to prescription management. Explore innovative ways to improve patient outcomes.